For the cover of issue No. 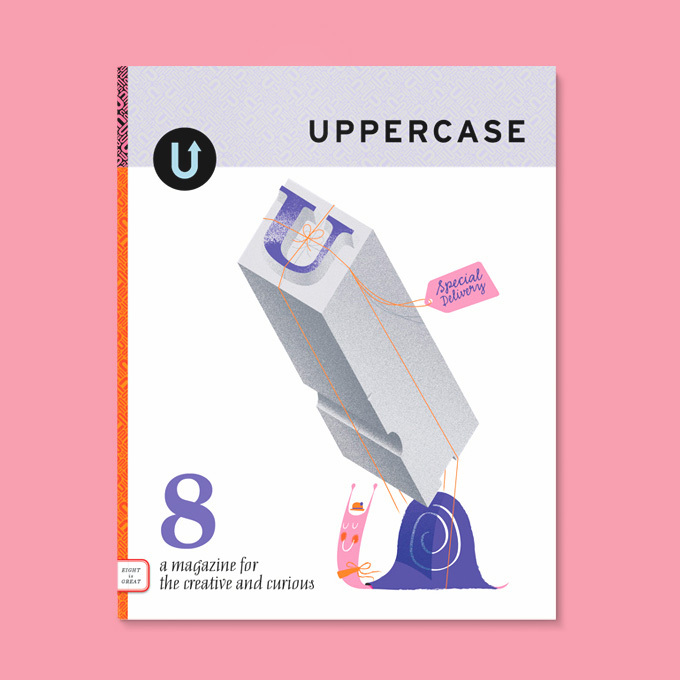 8 of Uppercase magazine, we were asked to concept a piece that would touch on the issue's themes of letterpress printing and small objects. 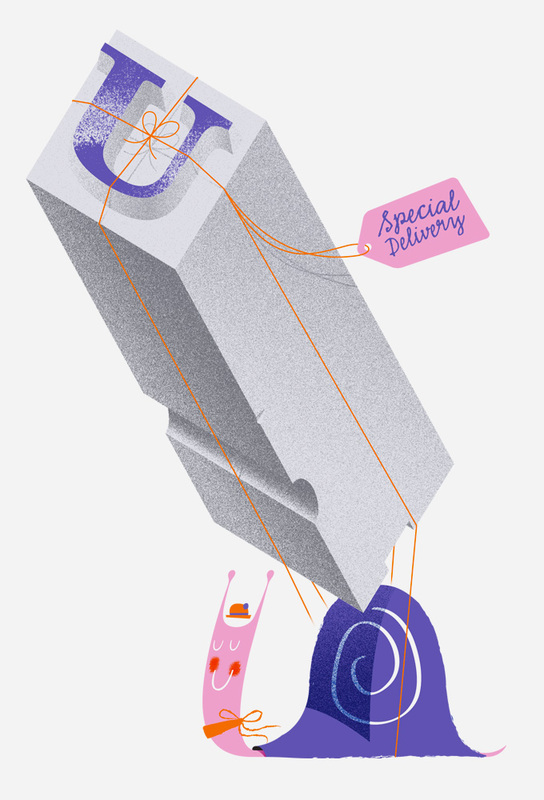 The illustration features a delivery snail carrying a piece of traditional lead type. Each magazine is filled with letterpress samples and other tiny treasures.